Sophia here. 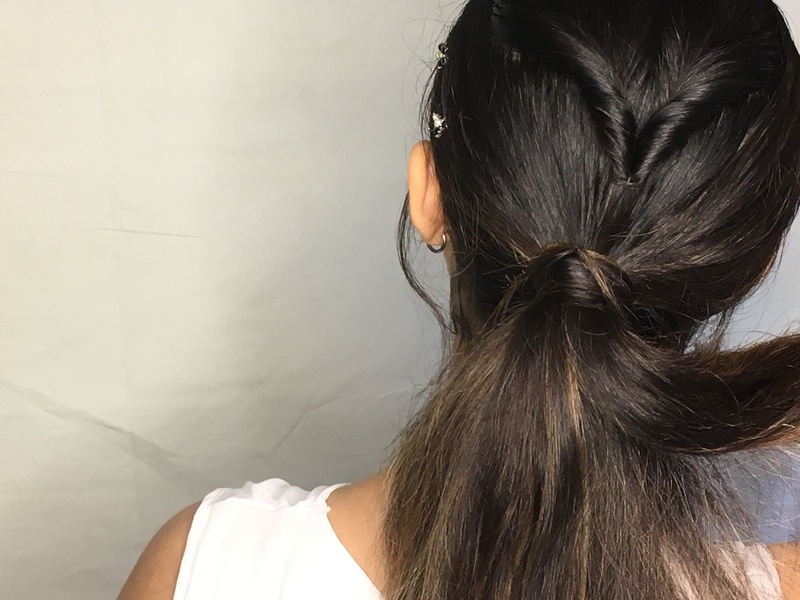 Today, I’m going to show you all how to do a super simple, chic hairstyle. You probably guessed by the title, but it is inspired by this picture I saw of the absolutely gorgeous Zendaya. DancinGirl requested that one of us do a hairstyle that would be suitable for dancing. I’m not a dancer, but I played soccer for all my life, and I know that this is a hairstyle that will look elegant and stay in place. So, in the pic, Zendaya is wearing an on point, slick, low ponytail. It’s lovely, but I wanted to create something with a little bit of a “surprise” factor in it. In the front, it’ll still look like a perfect low ponytail, but once you turn around, there’s something extra about it. This hairstyle can be done with curly or straight hair, but for the purpose of matching Zendaya’s look, I opted to straighten my hair, to keep with the sleekness. Items needed: 1 small elastic, 1 hairband, 2 bobby-pins, 1 spray bottle with water, comb, & boar bristle brush. 1. Using a comb, make a deep side part, stopping right before the crown of your head. Brush the hair at the crown of your head back. 2. 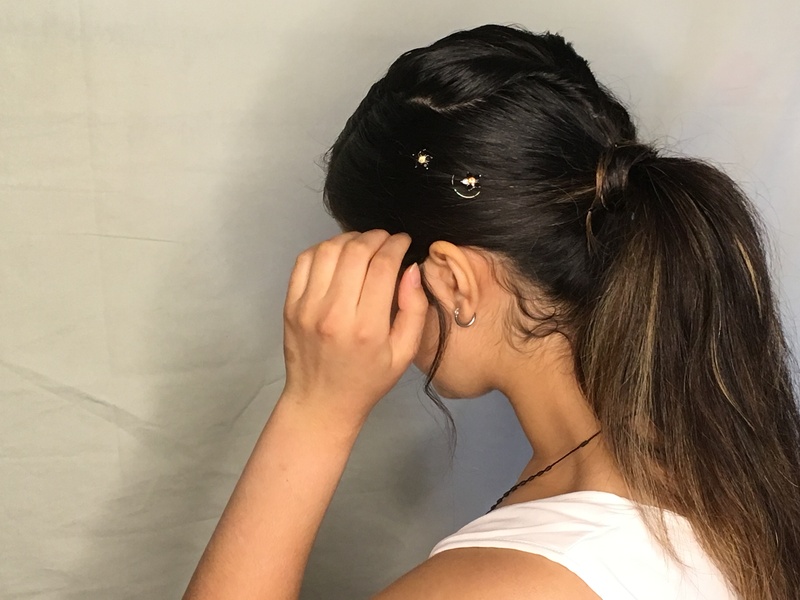 Sectioning off the hair at the crown of your head, tie it with the small elastic. (So now you should have a small ponytail.) Then, make a hole in the ponytail, and flip the hair through it. 3. Mist your entire hair with water. Using the boar-bristle brush, smooth down the hair on either side of the side part. Boar bristle brushes are great because they are so dense, and are perfect for smoothing hair. 4. 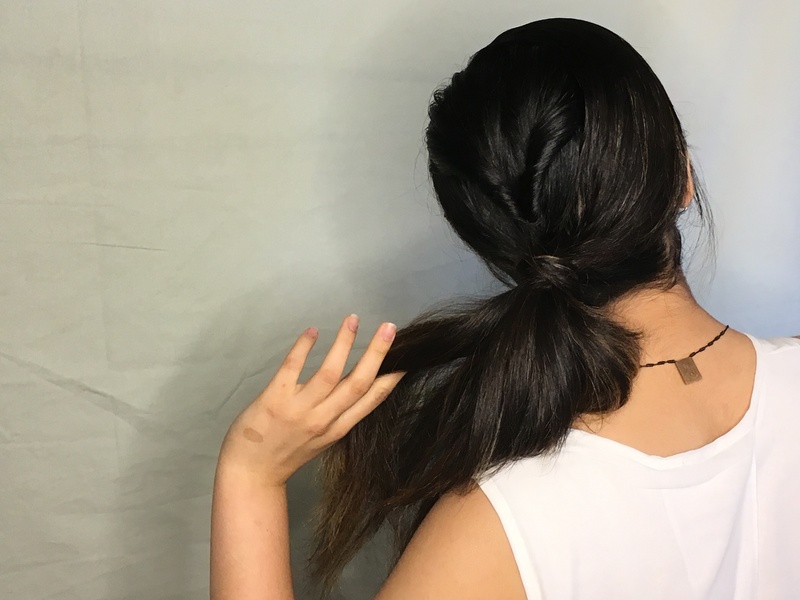 Gather all of your hair into a low ponytail, and tie with the hairband. around the hairband, and pin with two bobby-pins. 6. Gently brush through the ponytail with the boar-bristle brush for extra smoothness. Spray with hairspray to avoid fly-aways. decorations are wonderful since they are great at staying put for a long time. Let me know what you think of it in the comments, and make sure to go to “Hairstyle Requests” and comment if you have any other looks you’d like us to do. 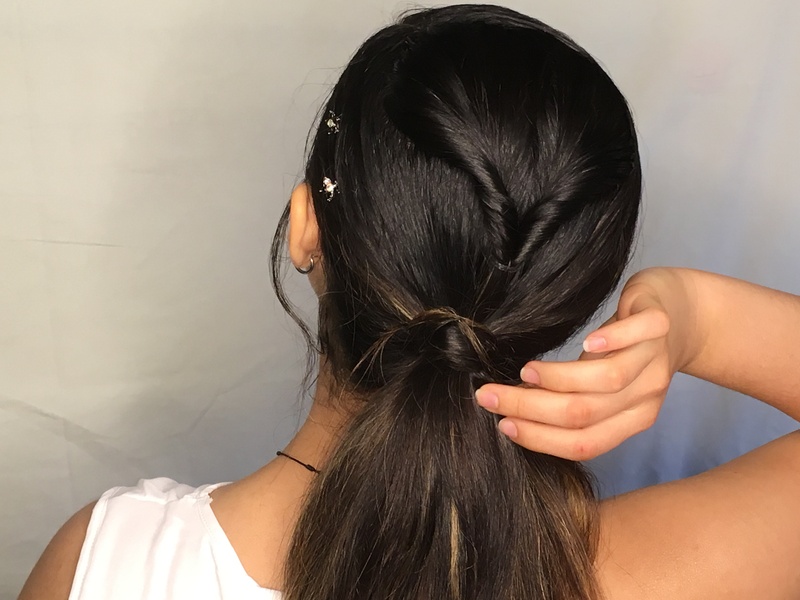 How to Create the Perfect Ponytail! No problem! 😉 I️ had fun creating it. 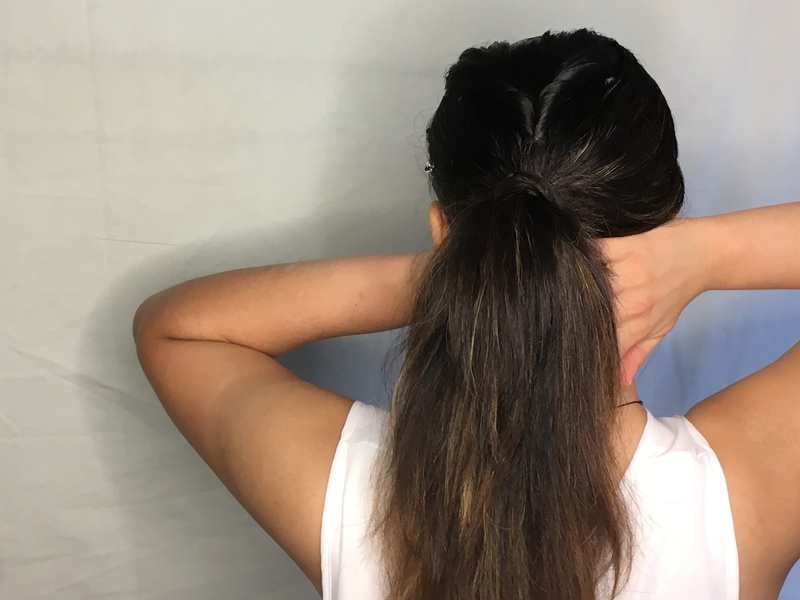 Lovely hairstyle 🙂 I tried it out, and I like the idea of a ponytail that looks ordinary (and is easy to do) but has a little surprise at the back!